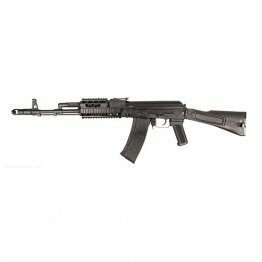 SLR-104 5.45x39 caliber rifles are top notch, Bulgarian made, stamped receiver, semi-automatic modern sporting rifles remanufactured by Arsenal, Inc in Las Vegas, Nevada. All SLR-104 rifles feature original Bulgarian made 1mm stamped receiver, original Bulgarian chrome lined hammer forged barrel, US made anti-slap double stage trigger group, US made mil-spec polymer stock set with stainless steel heat shield, left-side folding solid polymer or metal buttstock, 1000 meter rear sight leaf, and trapdoor for cleaning kit. 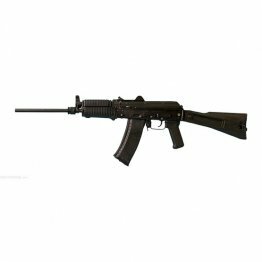 The SLR-104FR model comes with front sight block with bayonet lug and 24x1.5mm right-hand threads, gas block with bayonet lug, and removable muzzle brake. 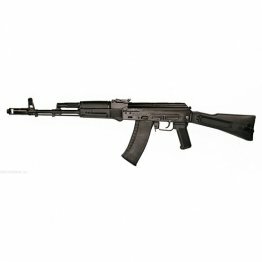 SLR-104UR model comes with a front sight block / gas block combination and short gas system (“Krinkov”). The SLR-104FR and SLR-104UR come with side mounted scope rails for attaching any standard scope mount, such as Arsenal’s SM-13 mount. 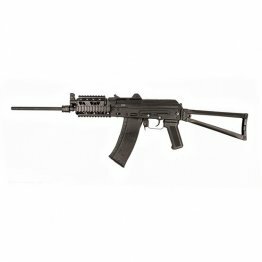 Models are available in black, desert sand, or plum polymer stocks. 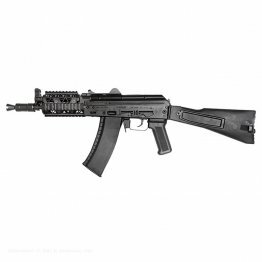 Check out the tactical variations with durable aluminum handguards with Picatinny rails for attaching flashlights, scopes, lasers, or other AK accessories of your choice.